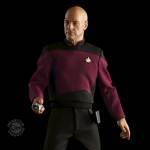 Quantum Mechanix is doing a stellar job with their line of Star Trek 1/6 Scale Figures. 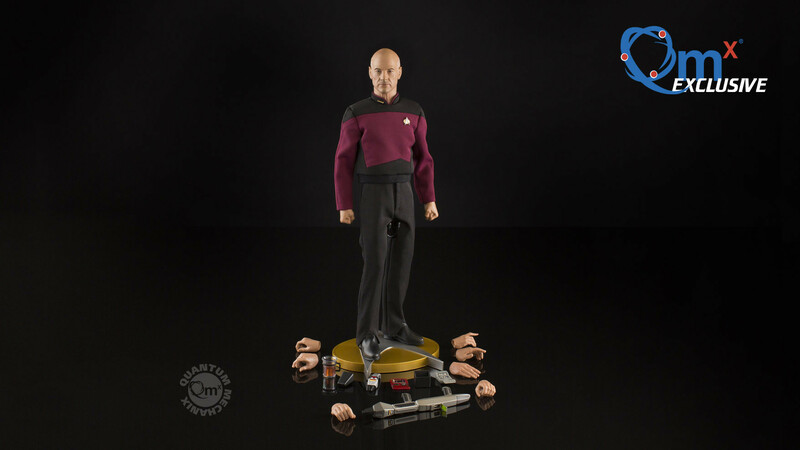 At Toy Fair 2017, we got a look at some of the upcoming releases. That included the Star Trek: The Next Generation Captain Jean-Luc Picard Figure (who’s been in the works for some time now). 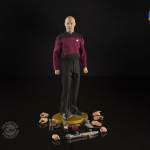 Pre-orders for the figure will finally be available today! QMX has posted up their product page. 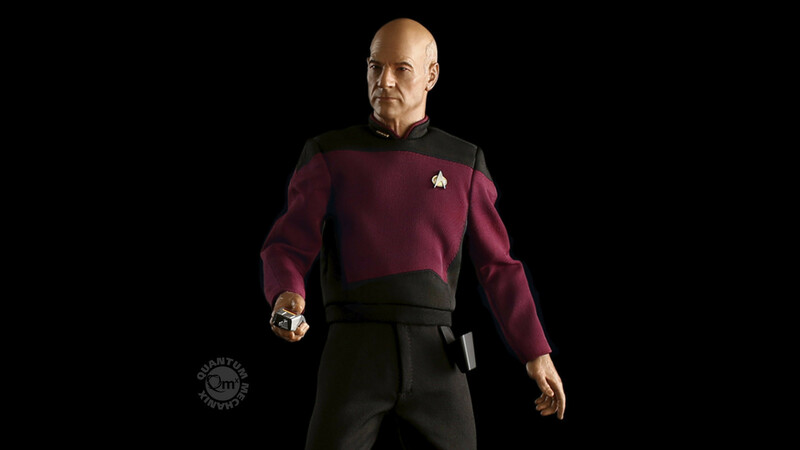 The figure features the authorized likeness of actor Patrick Stewart and includes plenty of accessories and interchangeable hands. 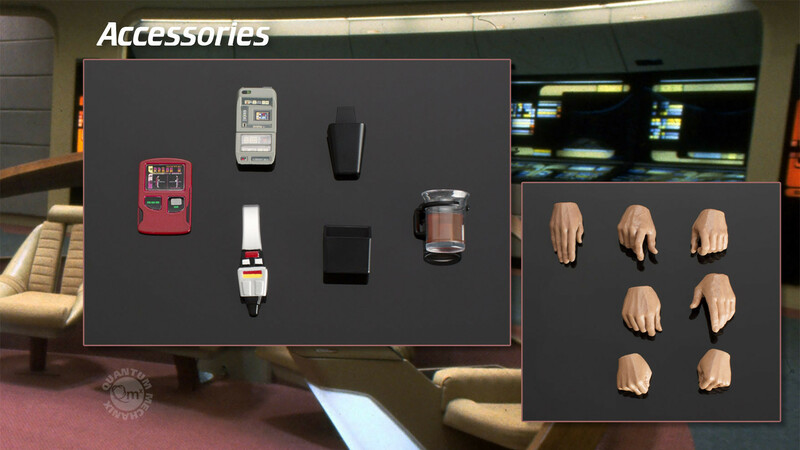 Some of the accessories include a phaser, a tricorder and a tea cup. 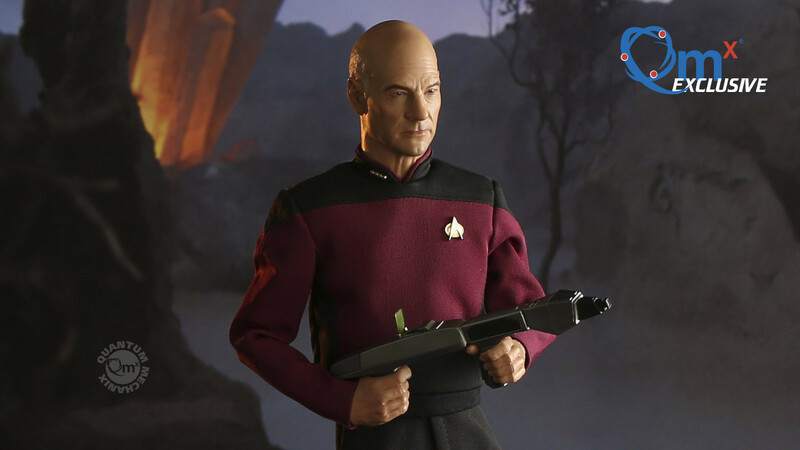 They are also offering an Exclusive Edition, which will include a Type III phaser rifle and an extra set of hands. 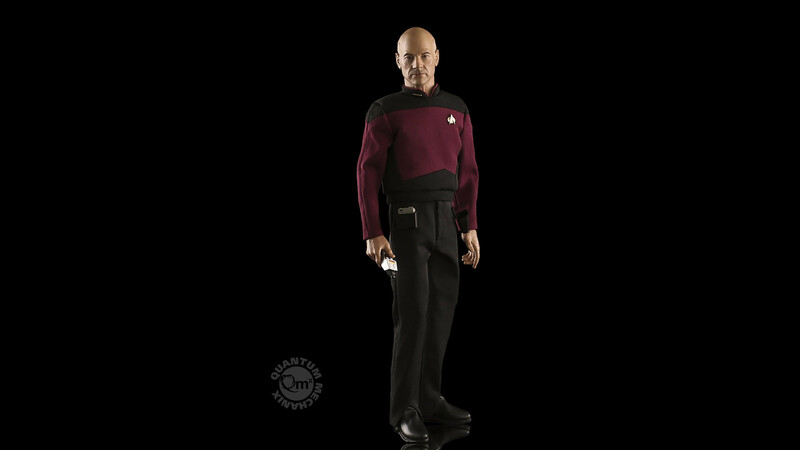 The Captain Picard Standard Edition is priced at $179.95, while the Captain Picard Exclusive Edition is priced at $199.95. Pre-orders officially kick off at 3:00 PM EST and can be ordered Here. Read on for a lot more info and all of the photos. 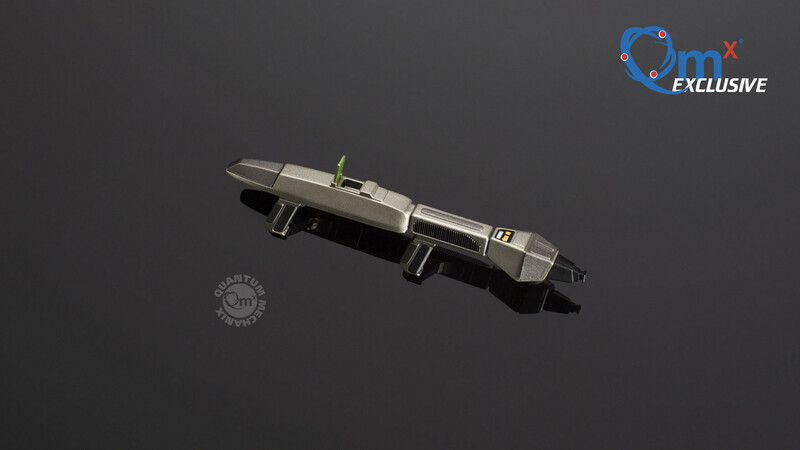 Type II “Cobra-Head” Hand Phaser: Designed to be less “gun-like” than previous phasers, this is the defensive weapon for Starfleet away missions. 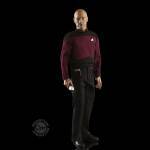 The phaser can be worn in a black holster that magnetically attached to Picard’s pants. 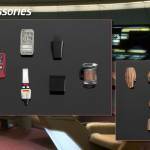 Tricorder: This standard tricorder can be opened or worn in a holster on the pants. 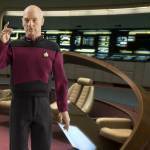 PADD (Personal Access Display Device): the data display device used on board the Enterprise. Teacup: A clear teacup with Captain Picard’s Earl Grey tea. 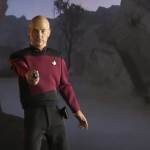 Right Phaser Hand: Perfect for holding cobra-head phaser. 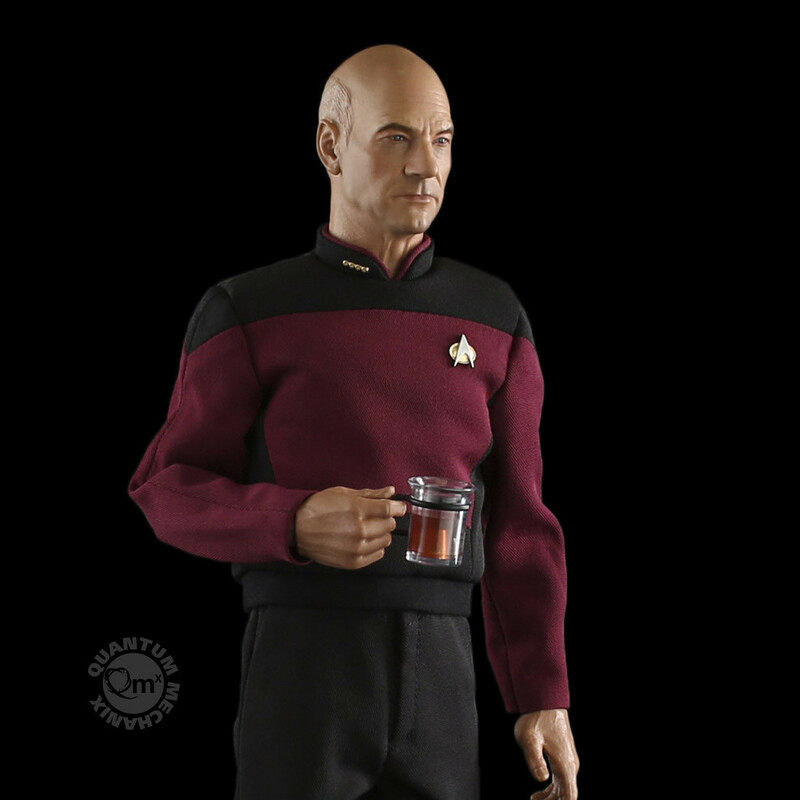 Right Teacup Hand: Designed for sipping that delicious Earl Grey. 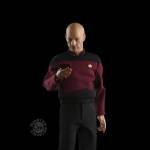 Right PADD Hand: For holding onto his Personal Access Display Device. Left Holding Hand: Sized to hold the tricorder on the top. 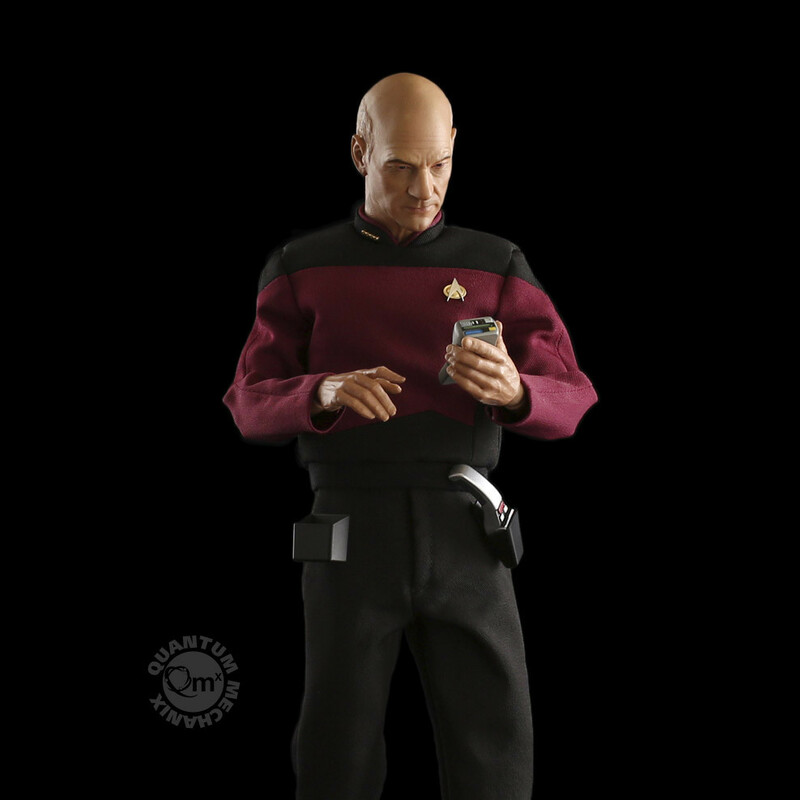 Left Tricorder Hand: Sized to hold the tricorder on the side. 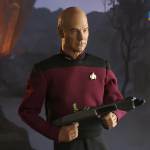 The QMx Exclusive version of Captain Picard includes an extra accessory, the Star Trek™: TNG Type III phaser rifle. 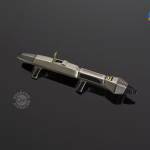 Not normally carried on board ship, this large weapon packs enough punch to take down a Borg. 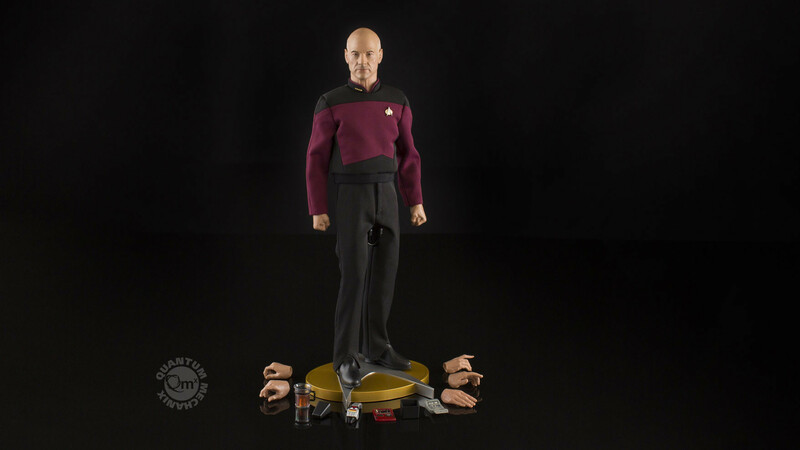 Also included: a new set of hands designed to hold the phaser rifle. 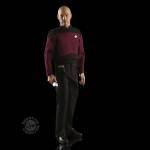 Very, very nice tribute to a superb actor. 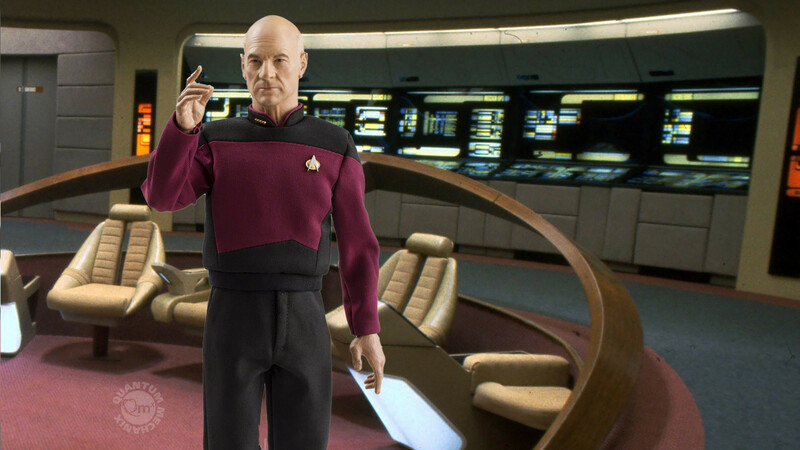 It would be a finishing flourish if they supplied a command chair so he could sit. Anecdotally, I'm hoping that somebody someday will do a similarly good likeness of Sir Ian McKellan as [Old] Magneto. 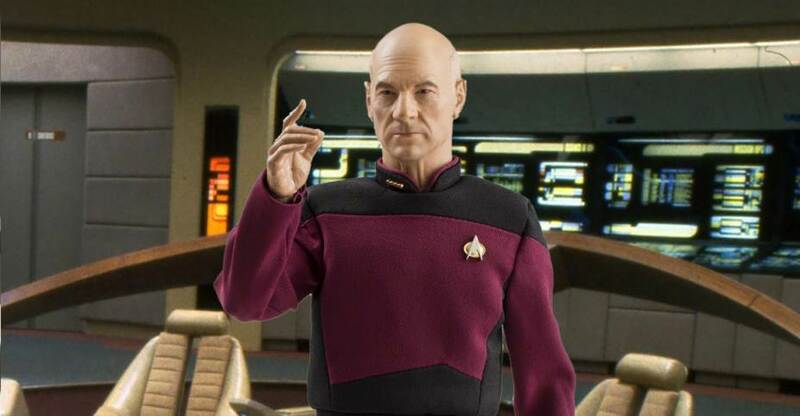 I like to think of the two actors together and would like a display in this spirit. It actually used to be better. 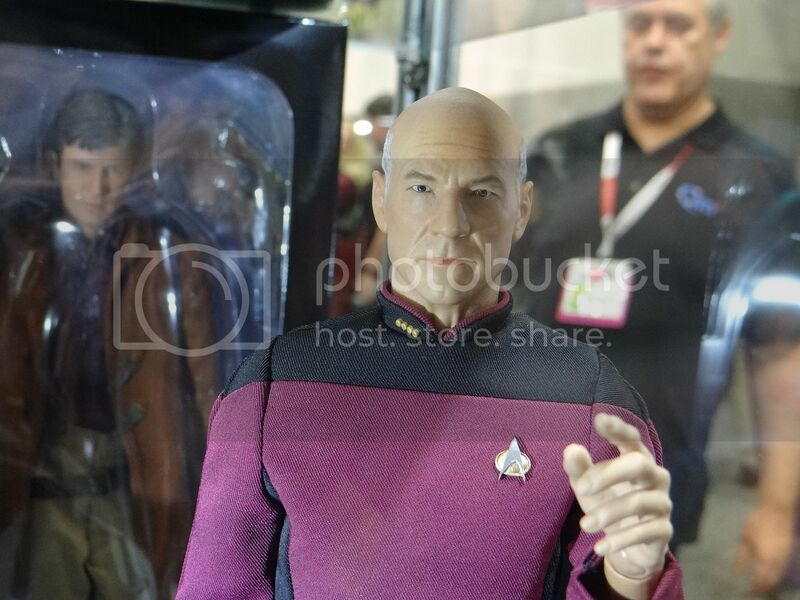 They changed the paint job between SDCC 2015 and SDCC 2016 for some reason...subtle changes, but significant ones, and in the wrong direction, IMO. 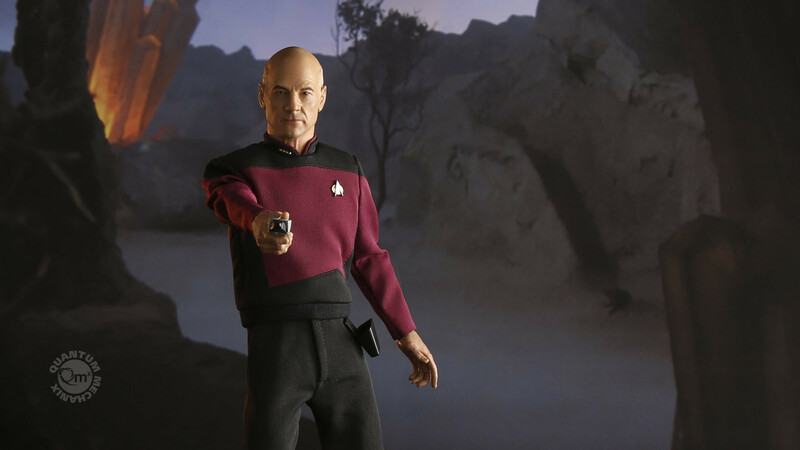 Actually the sculpt and paint haven't changed since that photo.